Helsinki's Love Sport creates guitar pop that tends to attract the "slacker pop" label, but upon closer examination manages to be satisfyingly detailed and purposeful and decidedly wider in scope. I believe all the members of the band are in other projects, but Almost Does Not Mean You Made It, their second EP, shows continued growth in cohesion and confidence from their promising debut, the Go!!! EP. 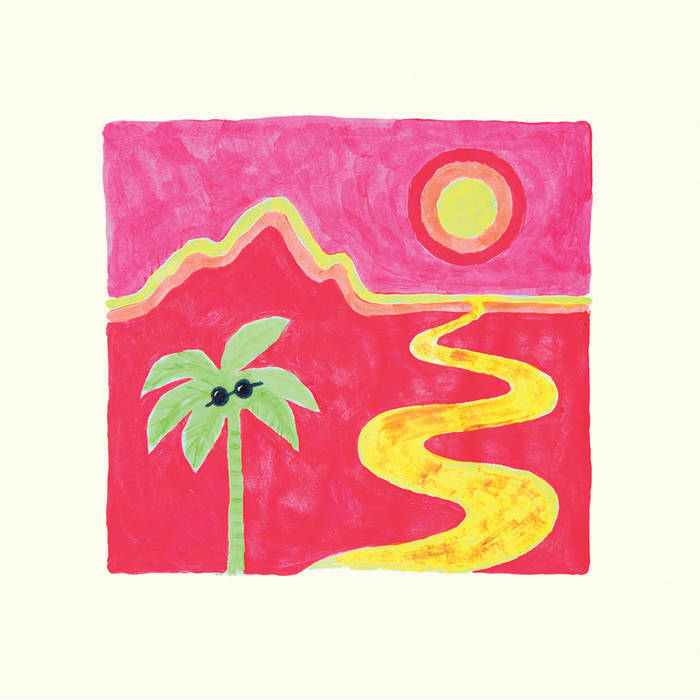 The EP begins with the bubbling garage pop of "Song For The Merries". The following "Deadbeat Time" favorably recalls The Shins on caffeine. Lead single "Genius" most aptly draws comparisons to Avi Buffalo and Pavement. With its bratty vocals, "Calling All Stupid" ably walks the link between garage punk and post punk. "Mrs. Brisby" has a jaunty Britpop vibe. The closer is the racing post-punk tune "Yes #2". Soliti Music has a number of fine artists on its roster, but it seems to me that Love Sport has the potential to be one of the most successful outside of their home country. And Almost Does Not Mean You Made It is a fine introduction to their music. Almost Does Not Mean You Made It EP is out Friday, September 4, via Helsinki label Soliti Music. The supply of digital downloads is unlimited, but there are only a small number of cassettes. At the risk of being overly bossy, I think that everyone needs a bit of Redspencer in their lives. I think that David, Aiden and Andre would agree, but they have a clear bias as they are the members of the band. The trio resides in Melbourne, and plays melodic guitar pop that to my ears is perfect for the transition from summer to fall. The recently released a four-song EP via home town label Deaf Ambitions, and I give it my firm endorsement. From the shimmering opener "Everyday" to the garage pop of "Happy Slow Riverbends" to the dreamy showcase tune "Ride It Out" to the county-inflected closer "Someday's Gone", there isn't a bad note in the set. The only complaint I could muster is that there weren't enough of them. But because I'm a self-help kind of guy, I found an older track that is available to download and linked in below. But don't let that stop you from getting this EP. You'll have it on repeat. And here is a video for Respencer's song "Tell", which can be downloaded for free here. 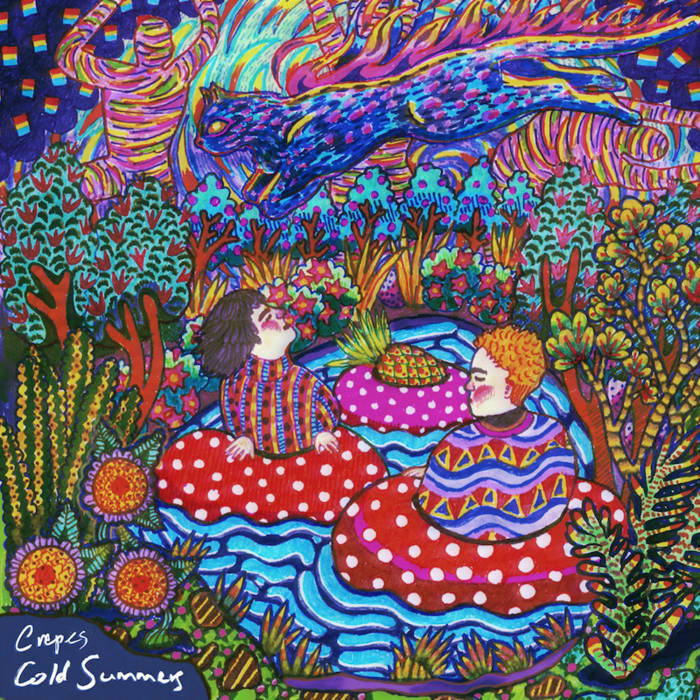 We featured a song by Melbourne's Crepes last year, but somehow managed to miss their release of the Cold Summers EP in the spring. I'm quite sure we have an excuse. In fact, we keep an entire file of excuses in the office. I just can't remember which one I'm supposed to use this time. Since the interns have all headed back to school, we'll just blame it on the interns. But excuses aside, Cold Summers is a record you don't want to miss. In fact, the shimmering, jangling title track would be worth the price even if the following four songs were filled with tuneless humming which, of course, they aren't. Slacker guitar lines jangle away, but the rhythm section adds genuine muscle and the keys glue it together. The vocals are excellent and the songwriting is too adept to be termed slacker pop. This band has a bright future, so this is your chance to get in on the ground floor. Cold Summers is out now via Deaf Ambitions. Sorry, noiseniks, it is a rainy Tuesday morning and the day demands to be jump started with some indie pop. Fortunately, The School has things covered with their new album Wasting Away And Wondering. The sweet spot for this assembly of musicians from Cardiff, Wales is retro-tinged pop music that will recall your favorites from '60s artists such as Dusty Springfield, The Shirelles and The Ronettes as well as contemporary bands such as Scotland's Camera Obscura, England/Australian outfit Allo Darlin' and the US' Saturday Looks Good To Me. And that tells me that I will hear sweet female vocals, rich instrumentation, and classic but bouncy melodies. But knowing what I am getting does nothing to lessen the familiar and welcome rush I feel when this music hits my brain. The School is a savvy band, knowing when to punch things up with horns or smooth them out with strings. But nothing is done to be showy or announce 'aren't we clever'. It all is in the service of delivering the pop goods to your ears. Give yourself a treat; not everything good is spanking new. The School are Liz, Steph, Harri, Ryan, Fran, Kay, Andy, and Kit. Wasting Away And Wondering is their third album, and it is out September 4 via Elefant Records. When I think of electro-pop, Birmingham, Alabama doesn't spring to mind. But after listening to "Modern World" by Future Elevators, I need to adjust my expectations. The song features shimmering synths over a chill groove and playful vocals. Future Elevators are Michael Shackelford, Alex Mitchell, Ramy Noureddini, Matt Devine, and John-Mark Dorough. Their debut album will be release in 2016 by label Communicating Vessels. Monday mornings can be a bit rough, so it is greatly appreciated when the early emails bring treasures like the new single from The Goon Sax. 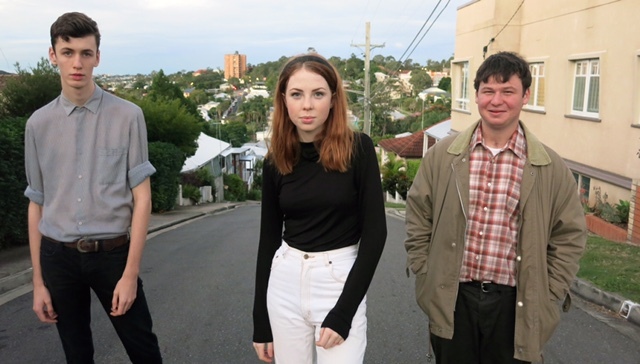 They are three high school students from Brisbane -- Louis Forster, Riley Jones and James Harrison -- and recently became the first band that Melbourne's Chapter Music signed based on an unsolicited demo. Chapter will release the band's debut LP, Up To Anything, in 2016, but are sharing their good fortune with the single "Sometimes Accidentally". The song is a charming little almost-love song, with vocals that will remind you of The Go-Betweens and instrumentation and melody that will remind you of The Pastels. I think that is a smashing combination that will work on the rest of the days of the week as well. The single is a digital release. See links below. Chapter Music page for "Sometimes Accidentally"
Press Color is an interesting slice of rock music history. It also is a very good, and excitingly different, album. 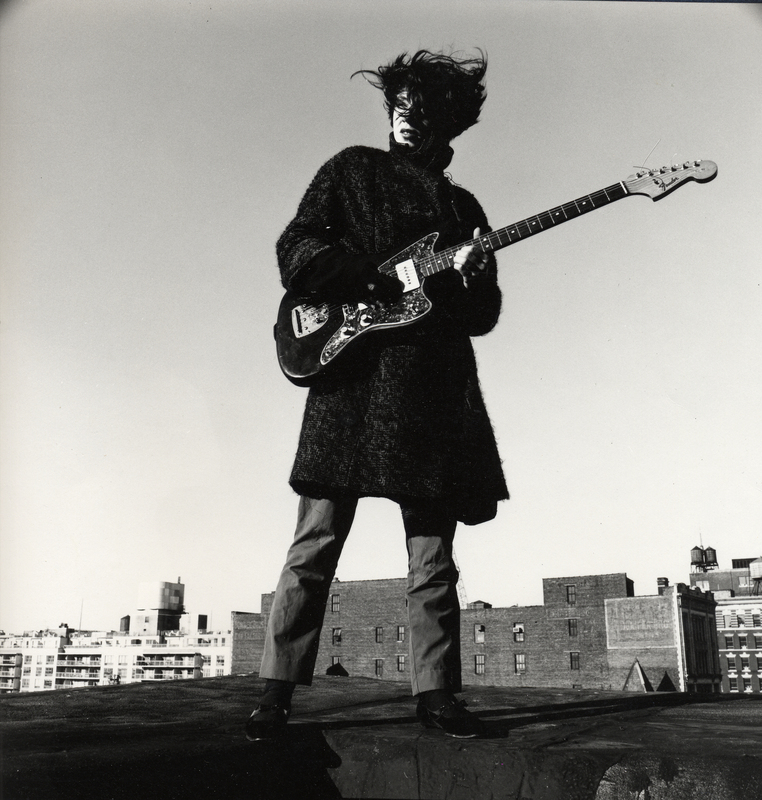 In 1976 Lizzy Mercier Descloux and her then boyfriend Michel Esteban left France for the big time scene in New York City. Working in punk rock journalism circles, as well as performance art and poetry, they made a lot of contacts, and ultimately broke up as couple while retaining an artistic relationship. Lizzy formed the band Rosa Yemen with Michel's brother Didier and began to perform and record. In 1979 Lizzy, Didier and two others recorded Press Color in ten days. While a group effort, it was decided to release the album under Lizzy's name. Her drive, and her adventurous and unconventional artistic expression made her the the natural frontwoman. Her work was intensely visceral and rhythmic. Words were chosen for their sounds rather than for the meaning or grammatical sense. The arrangements often had a jazz feel, featuring Lizzy's self-taught minimalist guitar lines and danceable Afrobeat grooves. The naive approach arguably pushes this music towards the punk rock category, but Lizzy's indomitable spirit and vivacity pull it back to no wave and experimental pop. Listening to it for the first time is like opening a window to let fresh air into the room. Of course, you would expect that an album like Press Color could only be found in rare used vinyl bins. And until now, you would be correct. But Light In The Attic Records has released an extended version of the album. 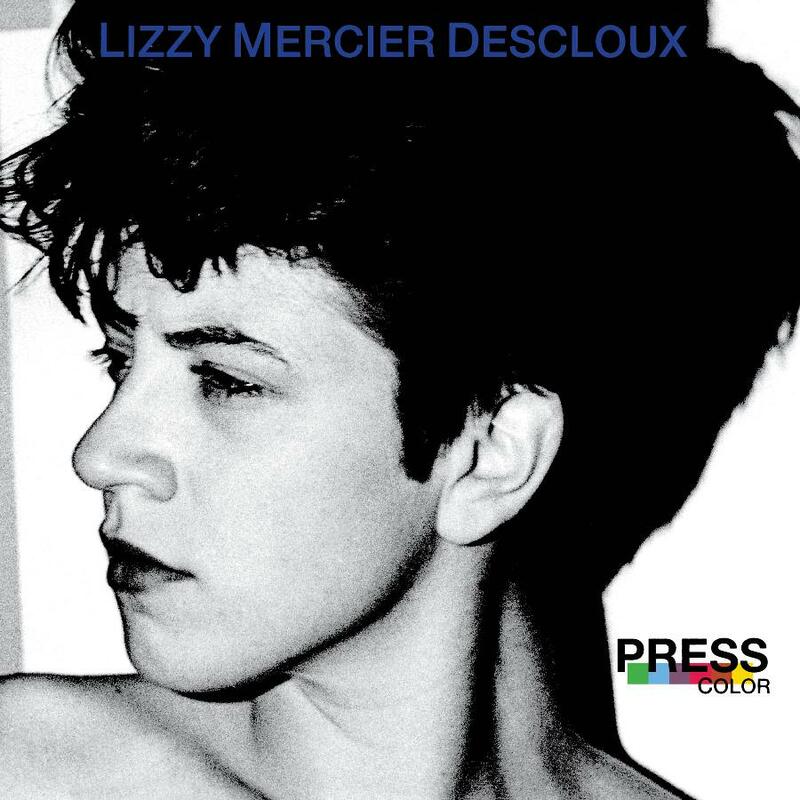 The release includes Press Color and other songs recorded by Descloux (including one with Patti Smith). It is available as a CD or two-LP vinyl plus mp3s.